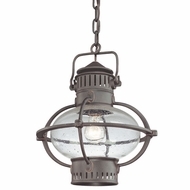 Nautical Light Fixtures & Nautical Pendant Lights - Limited Special Offer! 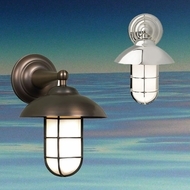 If your first thoughts are of oceans and seascapes when you hear the words nautical style lighting, you've pinpointed exactly what sets these lights apart from all others. 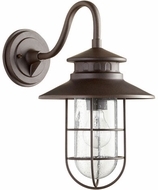 Nautical Lighting is truly a fun category, encompassing all manner of home and office lamps and fixtures that you can get at a great price when you order from Affordable Lamps. 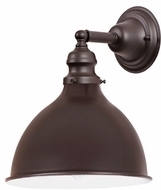 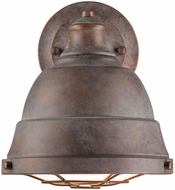 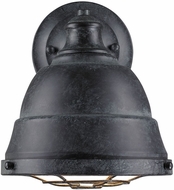 Recalling images of coastal villages in Maine or Massachusetts, these hardy, sturdy lamp fixtures have stood the test of time, and are available in eight different sub-categories of nautical light fixtures. 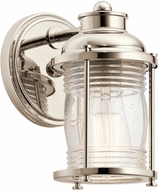 There are bathroom and vanity nautical lighting fixtures that can add quality lighting to rooms where, because of the association with water, nautical lights often make the most sense. 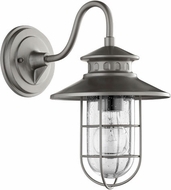 Order nautical bathroom lighting, and bring the soft illuminating glow to a master or guest bathroom. 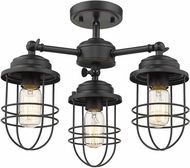 For the living areas of your home, you should not overlook quality nautical ceiling light fixtures, ceiling fans, sconces, and pendants. 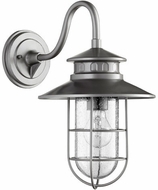 These options are especially suitable for any home designed in the New England style, and you'll save money when you order from our online nautical light fixture selection and have your lights shipped right to your front door. 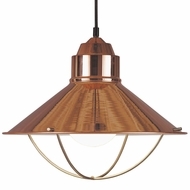 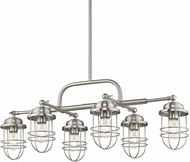 Don't think, however, that this lighting is fit only for homes designed in the traditional coastal style. 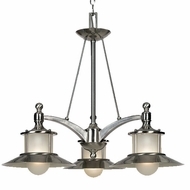 Buy our fixtures with confidence, and you'll find that they will look great in any home. 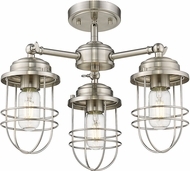 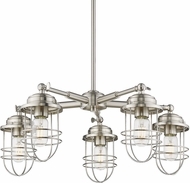 As you browse the many different nautical ceiling light fixture options we have in our inventory, don't forget the chandeliers designed for those who wish to invite the majesty of the sea into their dining room at an affordable cost. 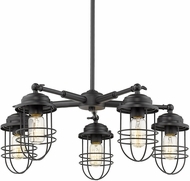 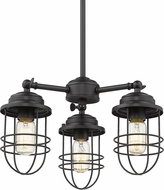 These nautical lighting fixtures are perfect for both formal and informal dining areas, and you can save money on shipping when you order $100 or more worth of product and have your lights shipped to you fast and for free. 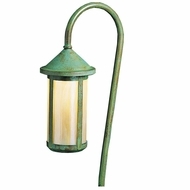 Not to be left out are outdoor nautical lighting fixtures and outdoor pier and post fixtures to complete your sea-based design. 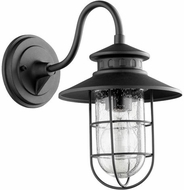 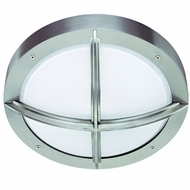 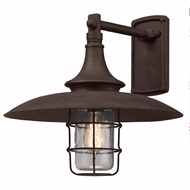 The cost for these nautical light fixtures that you install outside is also cheap, and you will not sacrifice any of the wattage or beauty that you need in the lighting that helps turn your yard and external walls into showcases for the neighborhood.